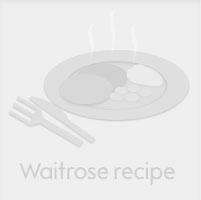 Waitrose Aberdeen Angus Diced Braising Steak is ideal for slow cooking as it is marbled with fat which results in a rich, tender stew. The Waitrose Aberdeen Angus Beef Scheme ensures that the highest standards of animal welfare are used to produce this top quality meat. Preheat the oven to 150°C, gas mark 2. Season the flour and use to coat the beef. Heat the oil and butter in a heavy-based, flameproof casserole dish until the butter has melted. Fry the beef in batches until the outside is sealed and browned. Use a slotted spoon to remove the beef to a plate and set aside. Return the casserole to the heat and fry the onions gently for 4-5 minutes or until golden brown. Add the pimientos and continue to cook for 5 minutes. Stir in the paprika, cook for 1 minute, then pour in the stock. Return the beef to the casserole, stir to combine all ingredients and bring to the boil. Cover and cook in the oven for 1 1⁄2 hours, or until the beef is tender. Remove from the oven, check the seasoning and skim any fat from the surface. Stir in the soured cream. Serve with tagliatelle and garnish with snipped chives.